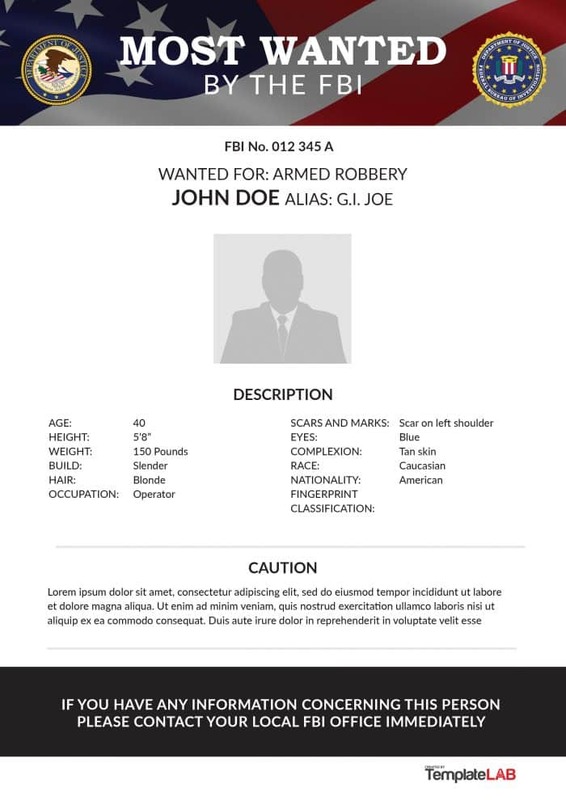 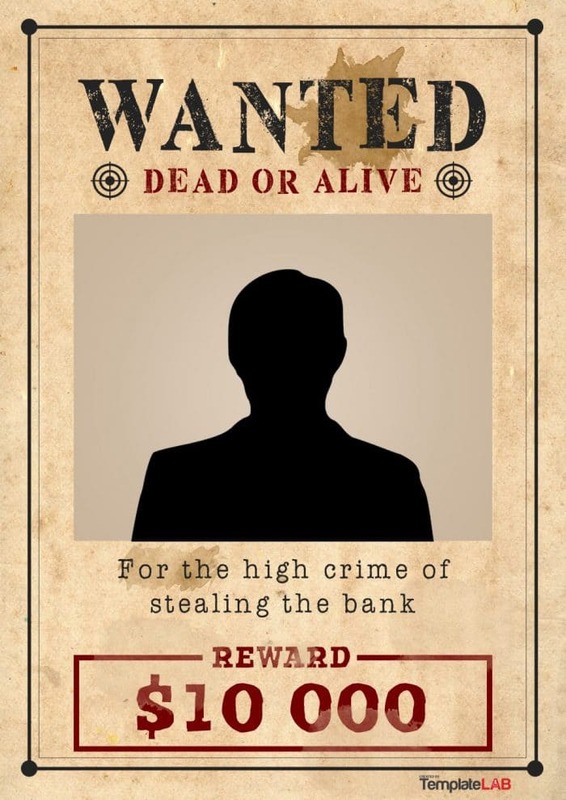 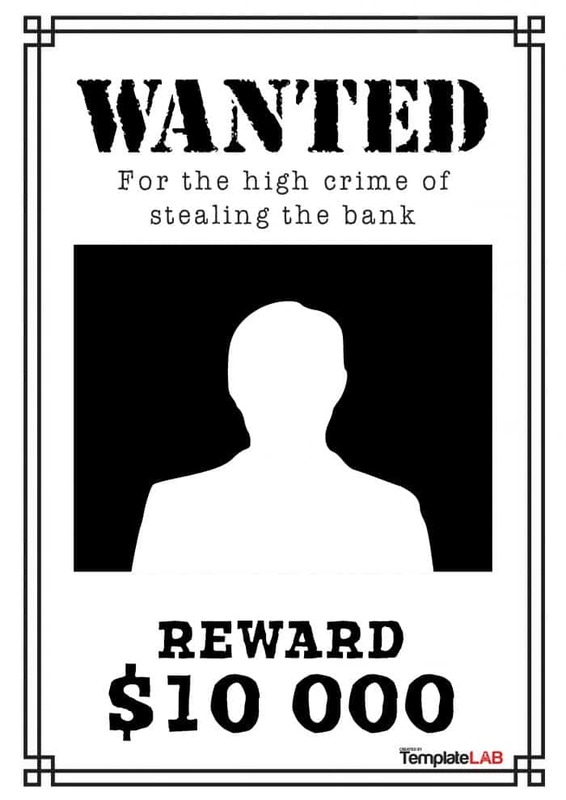 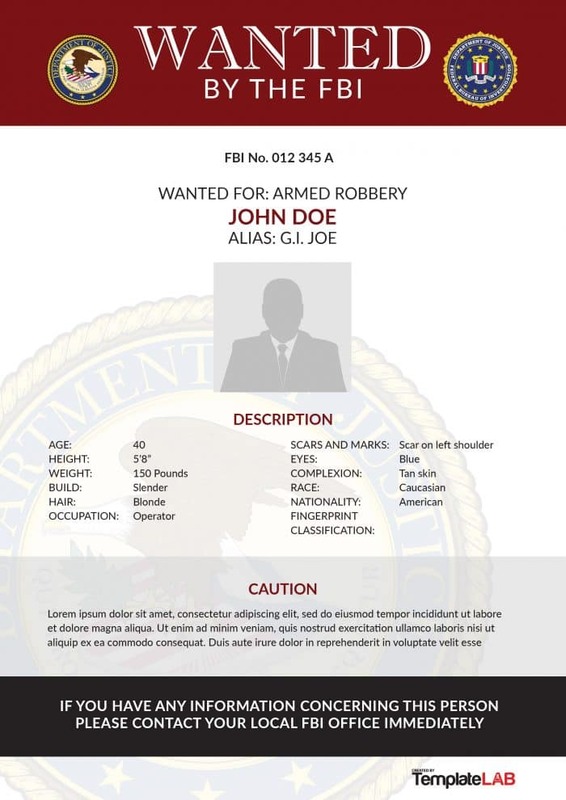 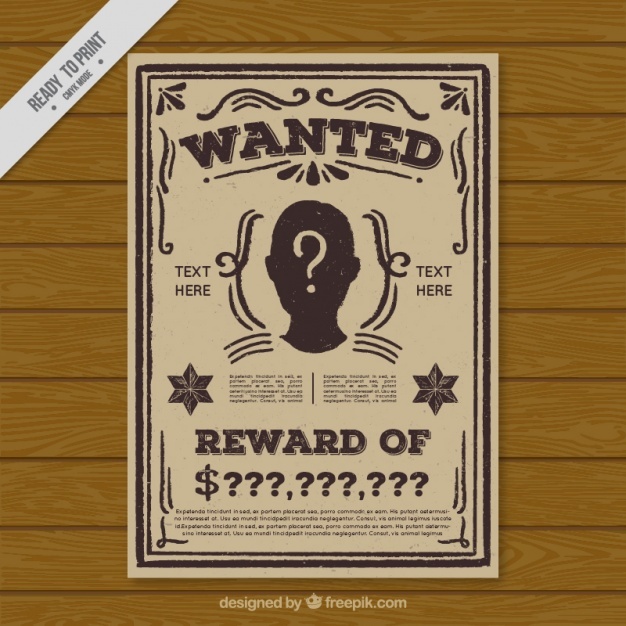 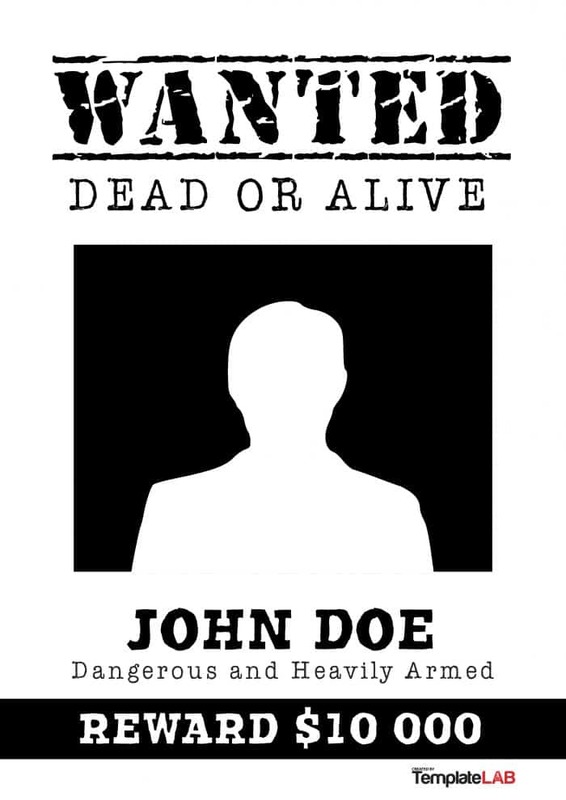 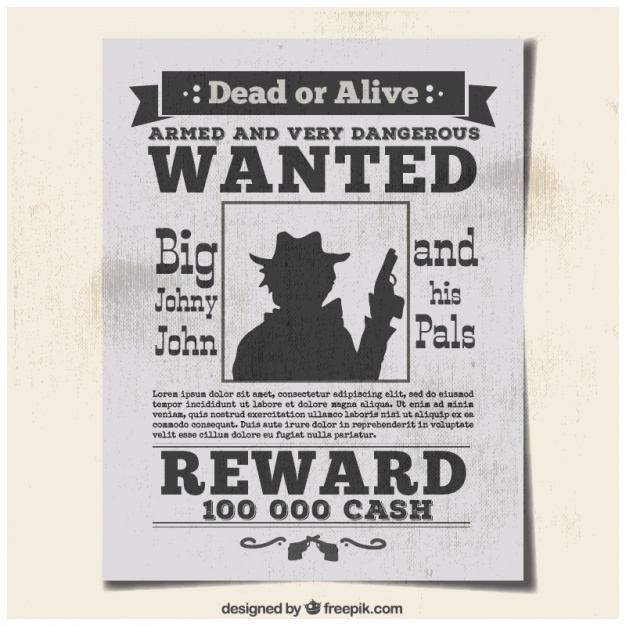 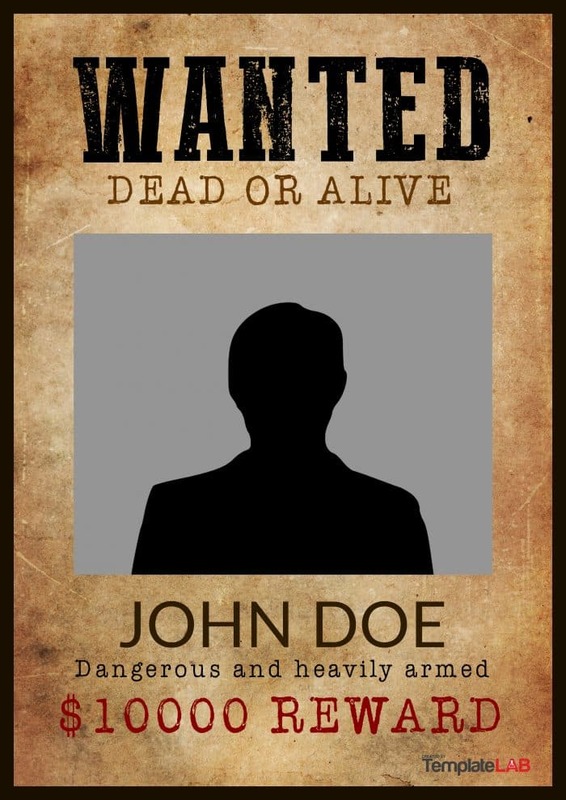 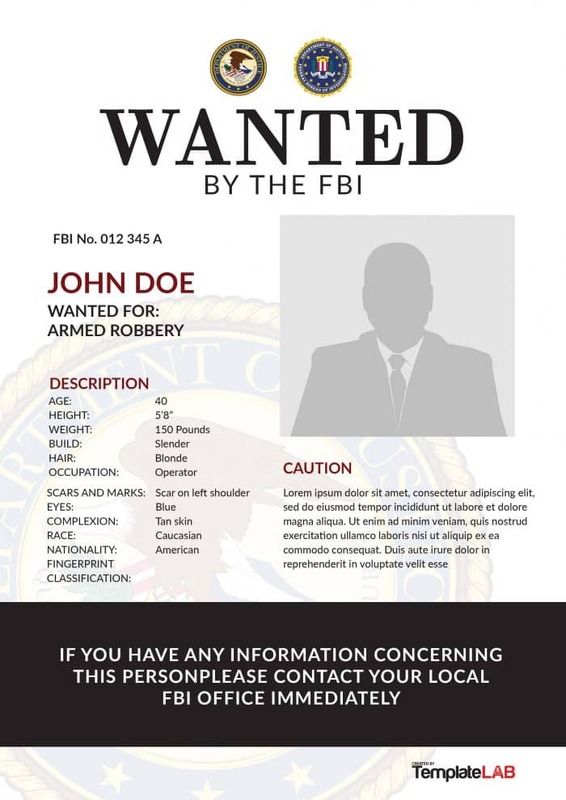 Download free wanted poster templates for you to use for personal or commercial use. 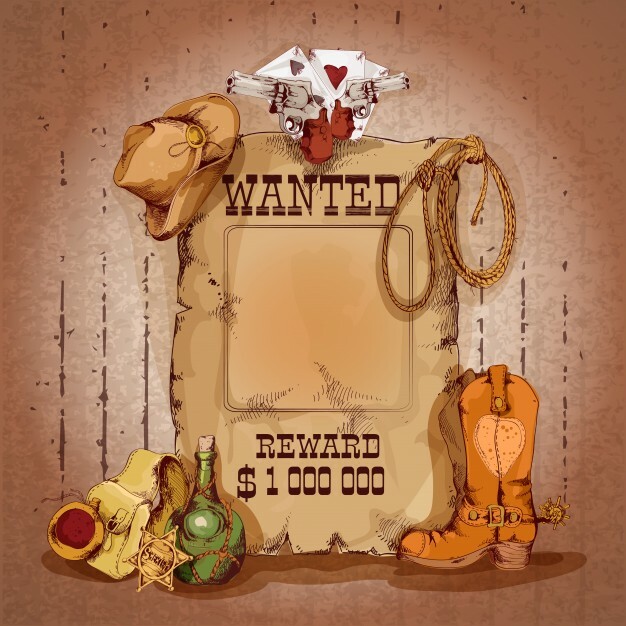 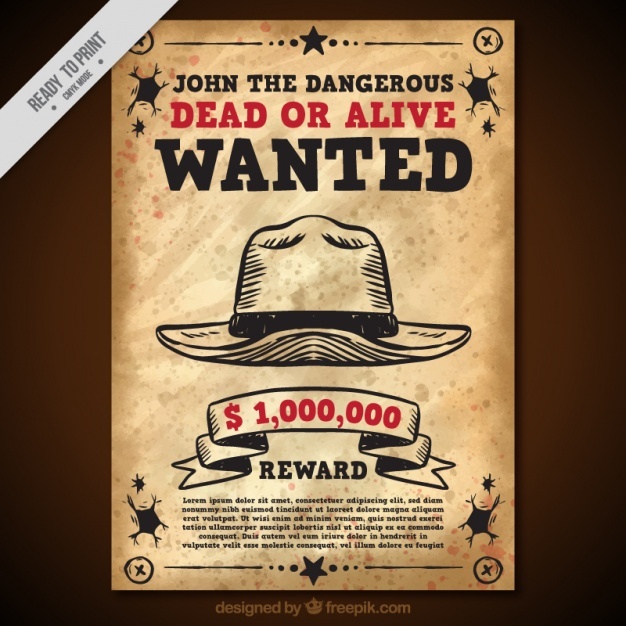 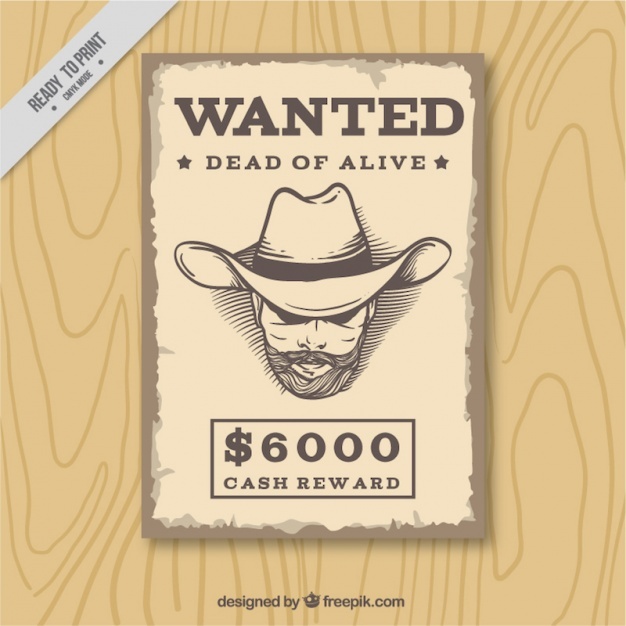 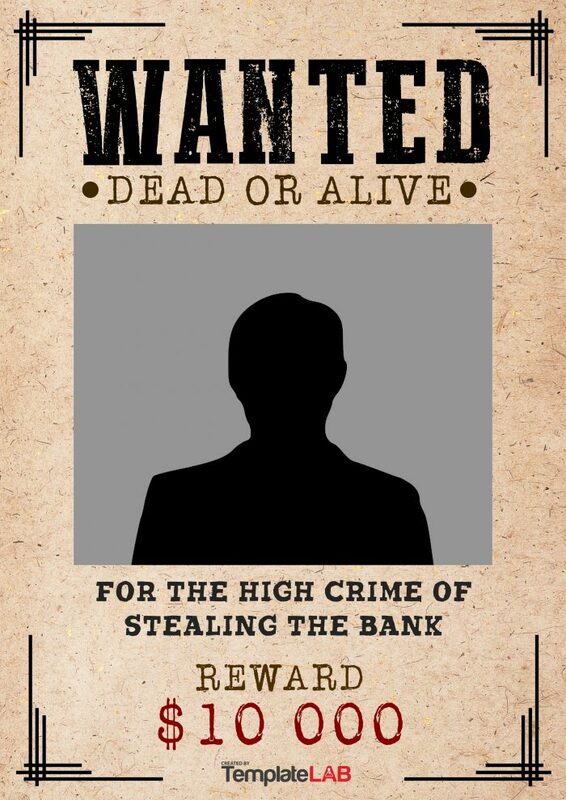 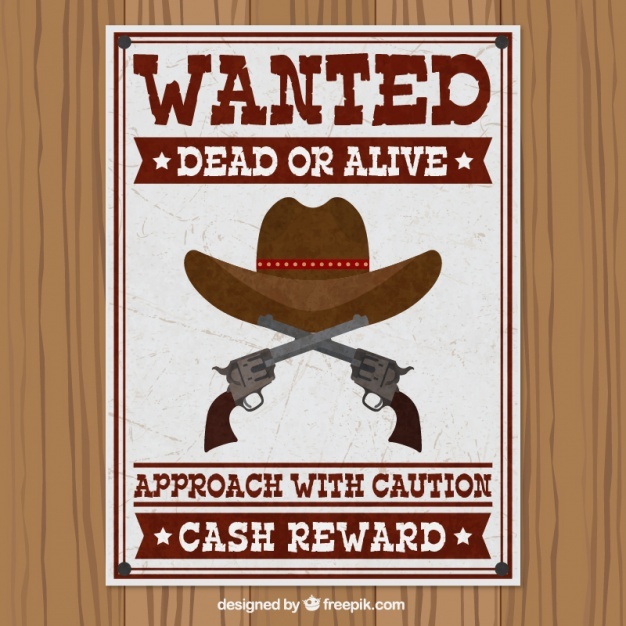 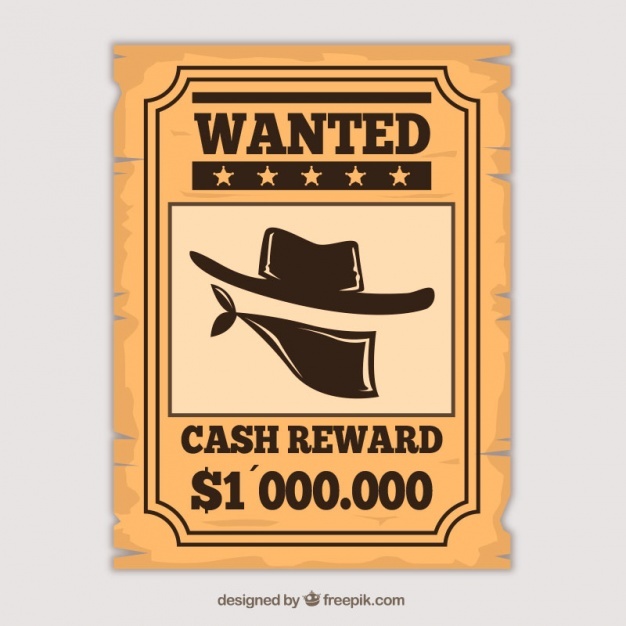 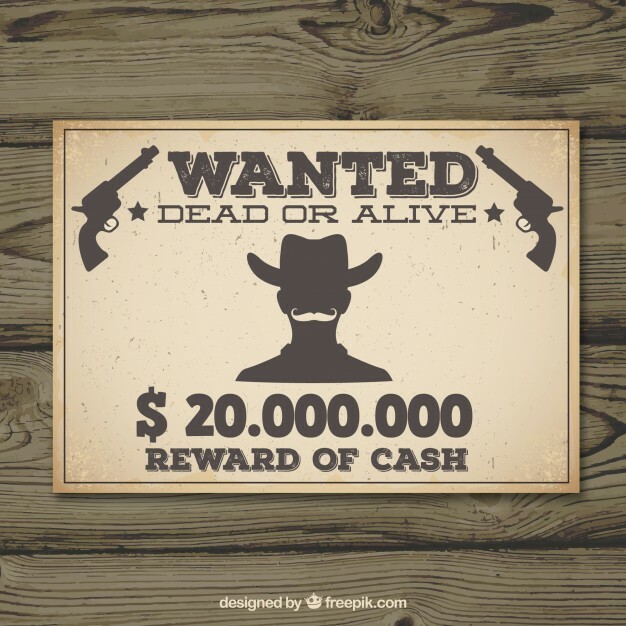 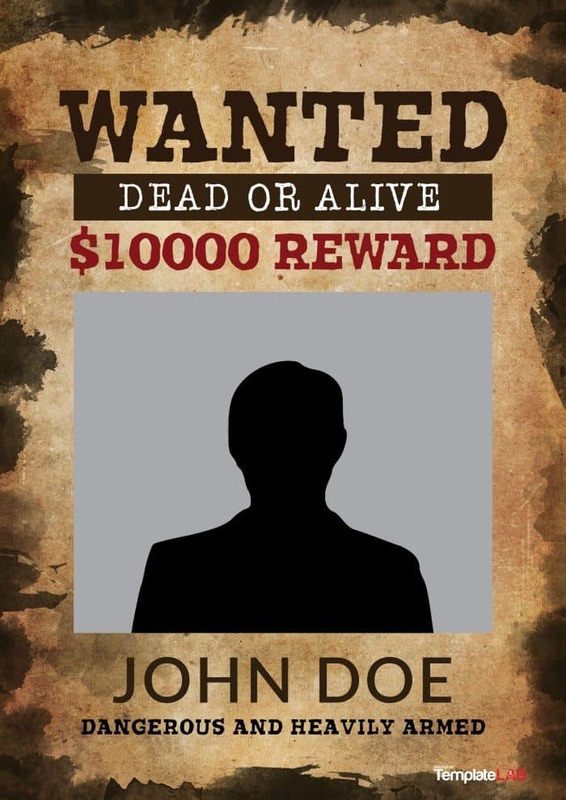 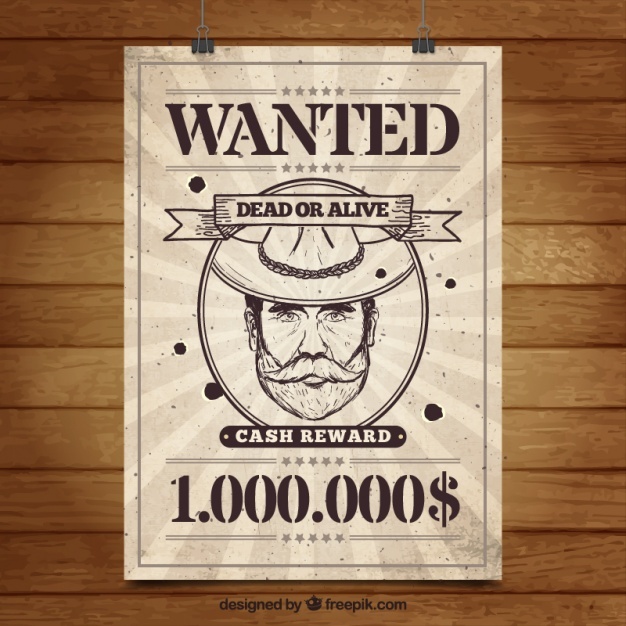 Whether you are looking to publicize an alleged criminal who is wanted by the law enforcement or if your simply looking for a fun image for a western theme party these templates are going to be great for you. 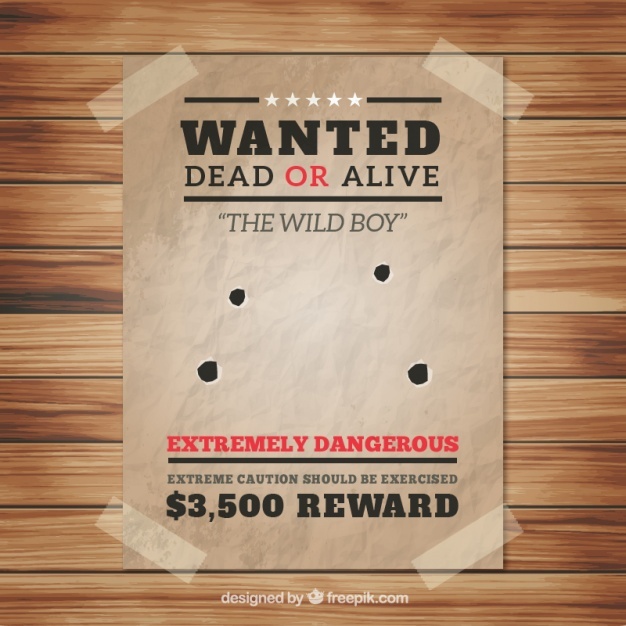 A hundred years ago these posters were spread out to capture delinquents. 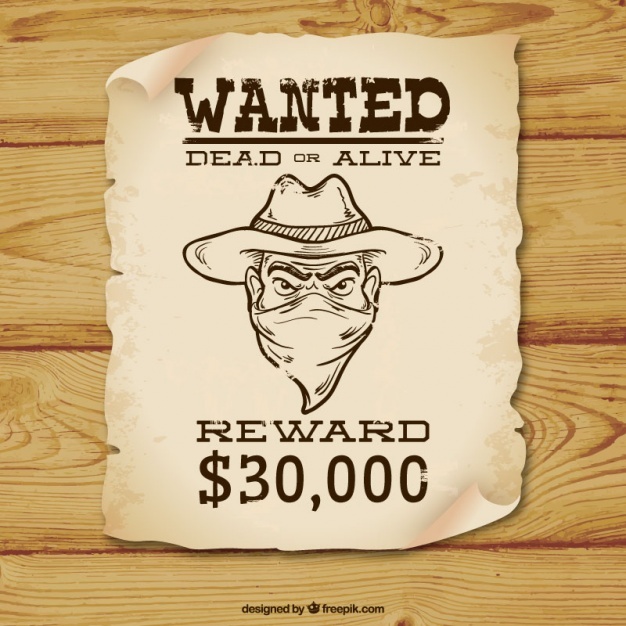 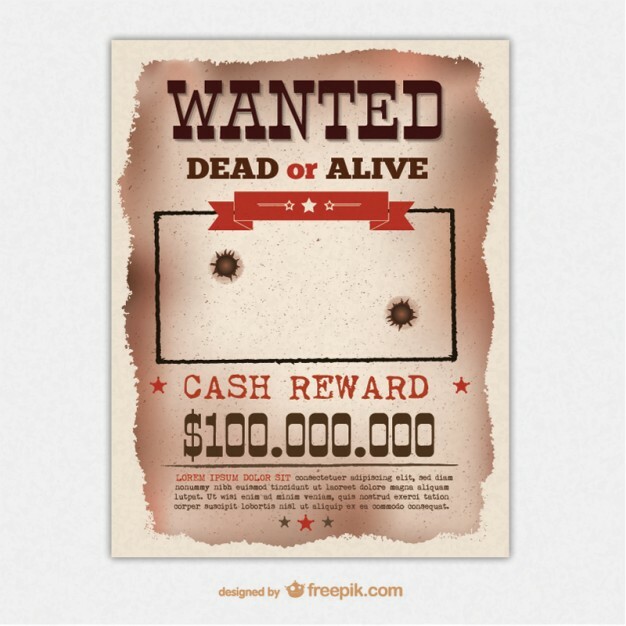 The words that indicate “dead or alive” were used in the past old west posters as well as the reward is always displayed. 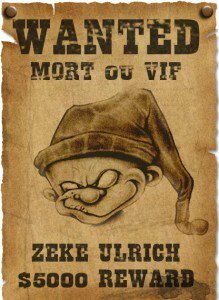 It was something normal for them to do back in those days with these wanted posters. 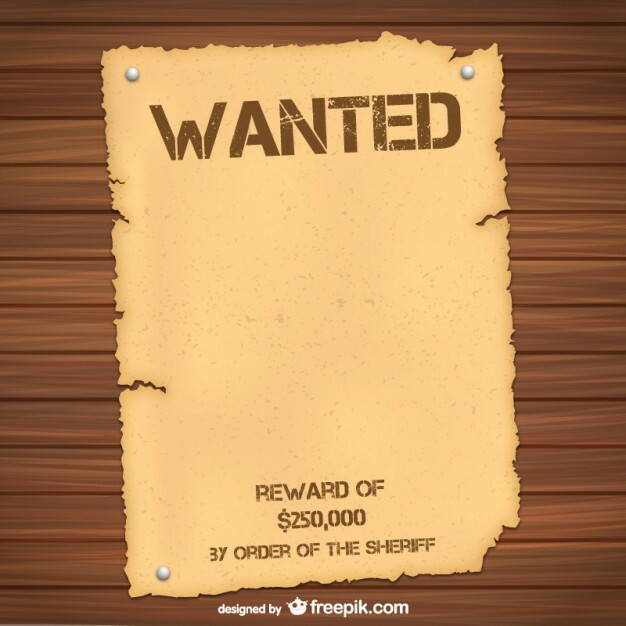 Those days are now gone with our advanced technology that we can pretty much send out Electronic Wanted posters. 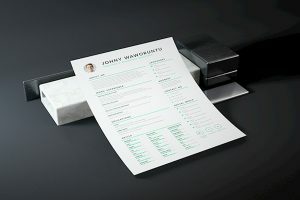 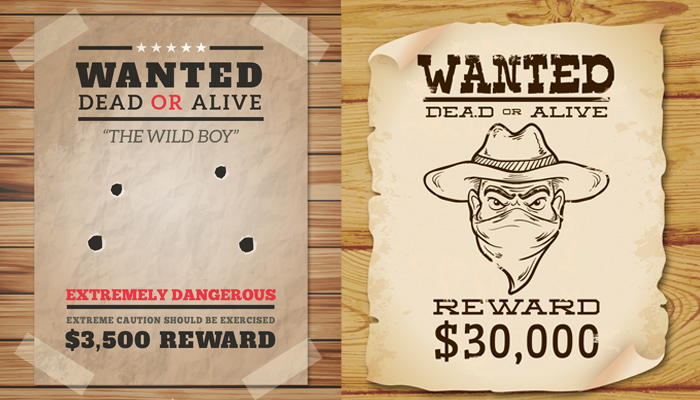 Here you will find 25 Free Wanted Poster templates that you can use for your next design work. 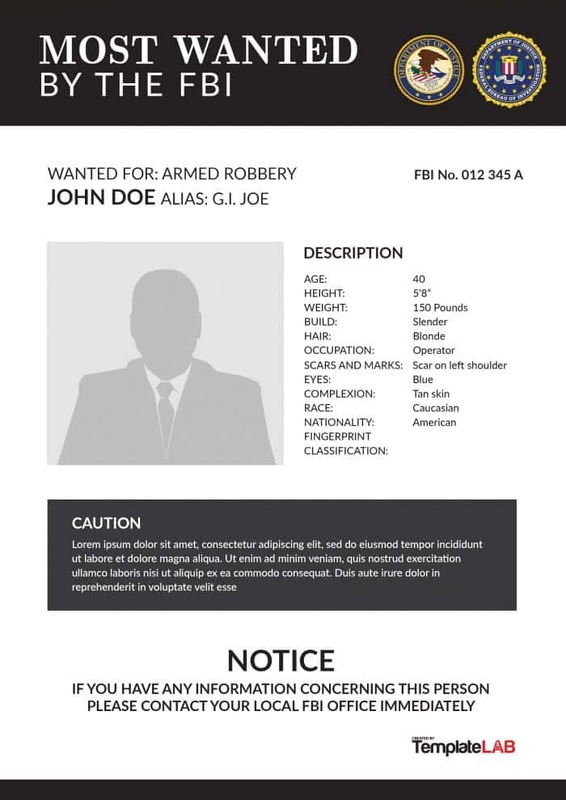 Use as many as you would like since these are Free for you to use and edit. 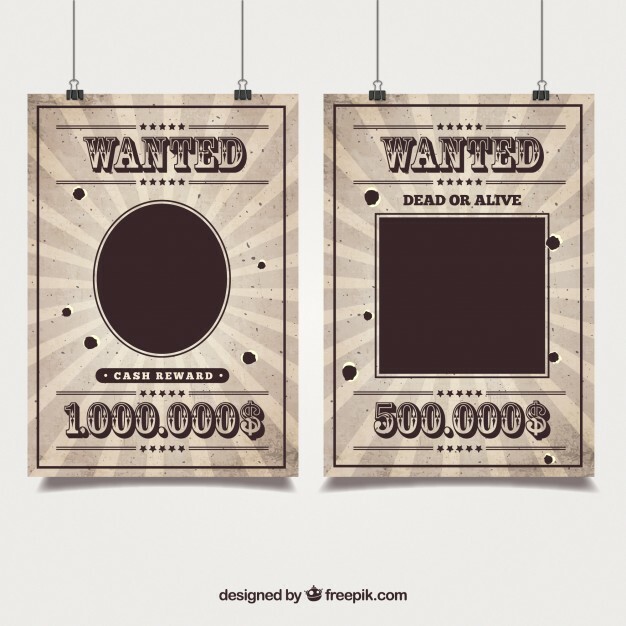 It’s great you can use these for different concepts nowadays so enjoy and hope this makes your designing easier.